Coinciding with Aftermath: Art in the Wake of World War I, this panel discussion explores the parallels between the growth and evolution of psychiatry in Britain after the war and the impact of trauma and loss on art and culture across generations. Focusing on artistic expression and creative experimentation in the years immediately after 1918, this event considers movements such as dada and surrealism that helped reframe post-war cultural imagination. Dada’s rejection of rational thought and exploration of ‘convulsive beauty’ in surrealism were shaped by artists’ memories and experiences of the war, leaving long-lasting and powerful traces on the mind. Simultaneously, the ‘New Psychology’ emerged as an alternative to traditional asylum psychiatry in the aftermath of war in the UK. I’m delighted to be part of the new series of Radio 4’s A History of Ideas. On Friday 24th of July at 12:04 I’ll be presenting a short documentary on Confucius, psychoanalysis and ancestor worship, during which I talk to Frances Wood and Darian Leader. After broadcast, both should be available through iPlayer on the links above. 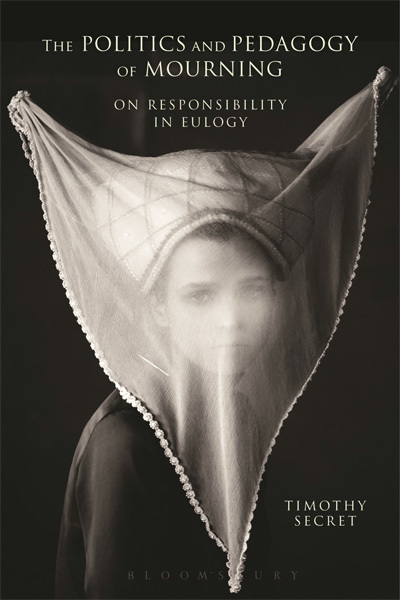 In another surge of energy to start updating this website more than annually, a news report that my book The Politics and Pedagogy of Mourning: On Responsibility in Eulogy is now available from Bloomsbury. It’s been a delight to see the hardback starting to turn up in bookshops and I extend my thanks to everyone who has been involved in bringing this to reality. In other news, since my last post I have been hard at work within the renamed faculty of Theology, Religion and Philosophy at the University of Winchester. The last few months have seen me contributing to a range of undergraduate courses on ethics, Judaism and the Holocaust, mortality and discussing my recent research on death, cinema and the gaze; while I have been leading modules on Embodiment through the lens of feminism and queer theory and offering an introductory course on Early Modern Philosophy. Teaching at post-graduate level has involved covering a wide range of material, most notably looking at death, psychoanalysis and (a new thing for me) post-Heideggerian theology. As indicated in my last post, everything is moving ahead with future modules on genealogy of atheism, on Kant, a post-graduate module on Eulogy, and then in the following year I am putting work into offering some more politically oriented courses as we turn to Marx, Althusser and his students. Outside of teaching the highlight of the last few months was certainly having the opportunity to talk about Abraham and Torok’s work at the University of Bristol’s Medical Humanities Seminar. A review I wrote of Elissa Marder’s excellent The Mother in the Age of Mechanical Reproduction was published in the Oxford Literary Review. The bulk of my research work has been oriented towards a series of papers on Plato and Cinema, Levinas and Euthanasia and Death in the early modern period, along with further work on my book on Derrida and cinema which is rapidly becoming a book on contemporary materialism, but more about those soon along with news of a few of my very minor contributions to the work of some very exciting contemporary artists. This leaves me with the task of offering once again the unfulfilled promise that I will use this website for something more and other than irregular splurges of news. I am extremely delighted to finally have the chance to write on here that I’ve recently accepted a permanent post as a lecturer at the University of Winchester. I have now joined their faculty of Theology and Religious Studies. My primary task will be to help establish their new Philosophy, Religion and Ethics BA, though I will also be teaching other undergraduates and postgraduates, particularly on their Death MA. If you are a future research student and you are interested in working on a PhD in some of the areas I specialise in then I am currently looking for students. My particular areas of focus include 20th Century French Philosophy, Phenomenology, Psychoanalysis, Death Studies, Art and Film Theory and the Ethics of the Other. I have several other research focuses so please do get in touch with your projects. I am now beginning a very busy period since I am working on module material for my new role. This includes exciting work on meta-ethics, the Shoah and representation, a module with a new take on the Rationalists vs. the Empiricists and one on contemporary theories of embodiment. In the following year of teaching I look forward to focusing heavily on Kant, Spinoza and the pantheism controversy, while also continuing working with students on philosophy and film in pursuit of my next monograph. So, very exciting and busy times. Looking back, since my last update I’ve finally submitted the manuscript for my first monograph, given one of the keynote speeches at the University of Essex’s 17th International Graduate Conference in Philosophy focusing on pleasure and pain in Augustine and Freud (sadly I didn’t have time to get to Descartes, who was to be the focus of the talk and who I’ll have to pursue on this theme at a later date), I gave a special “rough guide to post-structuralism” class to a mixed group of undergraduates at Essex on Lacan’s move from the statement “there is an other of the other” to “there is no other of the other”, and I gave a short paper on Levinas at Winchester introducing myself to the department. I have a few possible papers lined up for the future but I’ll give details of them when things are more set in stone. 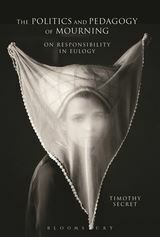 I am particularly delighted to have secured this cover image by the fantastic contemporary photographer Stefan Milev. In other news, last week I greatly enjoyed talking at the Royal College of Art college-wide ‘Zombie Symposium’. 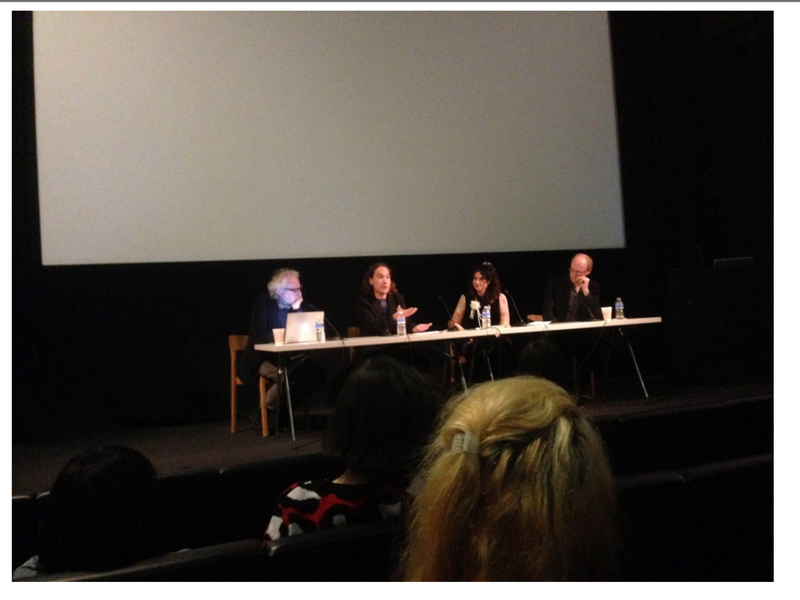 Here is an image of the panel discussion that also involved Professor Roger Luckhurst and Dr Edward Colless, chaired by Dr Chantal Faust. Due to focusing on writing I am having a little break from public engagement work. The next event major talk I am gearing up for will be presenting one of the keynote addresses at the University of Essex Graduate Conference on 20-21 June. Moving into territory that I have rarely addressed in conference presentations, my talk will focus on the theory of the passions in Descartes and Spinoza. While it is rather late to advertise this, I will be talking at The Photographers Gallery tomorrow (11 September) at 7pm as part of a panel discussion on Death, Aesthetics and Representation as part of the series Death and the Contemporary. For further details and tickets see here. I believe this event will be recorded and available later through the Backdoor Broadcasting Company (edit: this is now available from here. 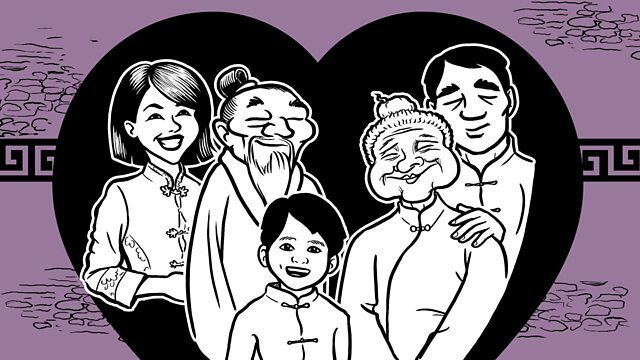 I will also be giving an introduction to Brecht’s play The Good Person of Sichuan at The Mercury Theatre in Colchester on the 16th of October. For tickets see here). A recording of the round-table discussion ‘In the Moment’ on contemporary art from HowTheLightGetsIn in May is now available through the Institute of Art and Ideas television website here. I look forward next month to continuing my research role at the University of Essex where I will also be teaching the unit on Philosophy and Film. On Monday evening I was once again on Night Waves, participating in a round table discussion for Death Awareness Week with Deborah Bowman (Professor of Medical Ethics at St. Geoges) and Jonathan Koffman (Senior lecturer in medicine at Kings whose work focuses on palliative care), chaired by Matthew Sweet. To hear our discussion please click here – the discussion begins around 21:40 into the episode. As a reminder on the 29th of May at 10:30 I’ll be taking part in the ‘In the Moment’ round-table discussion on art and transience at the How the Light Gets In philosophy and music festival in Hay-on-Wye. Early bird tickets are still available for £4 from here. My micro-documentary with BBC Arts Scotland is now available online here. In other news I am very much looking forward to participating in the upcoming 10 day How The Light Gets In philosophy and music festival in Hay. I will be taking part in a roundtable discussion on art entitled ‘In the Moment’ with sculptor Sokari Douglas Camp and art correspondent and broadcaster Godfrey Barker. For further details of this event and to get tickets see here. I hope to finally turn to this site more properly once term is over but for now a short news update. I recently passed my Viva with no corrections. I’d like to thank my external examiner Étienne Balibar for making the time for my project along of course with thanks to my supervisor David McNeill and to many others who will be thanked properly elsewhere. When term is over I will begin working on the monograph. I’ve just finished shooting a very short documentary piece with BBC Scotland – once it has been edited and put online I will put a connection up here. It focused on the Freudian account of mourning and the locket of Sophie that Freud wore in his watch chain. I was also recently live on Nightwaves again discussing the latest book by Carl Watkins – the very enjoyable The Undiscovered Country – link here. The issue of Les Temps Modernes with my article on Derrida has been available for a little while now – to order a copy see here. I recently gave a popular philosophy talk at the BBC Free Thinking Festival of Ideas 2012 at the Sage in Gateshead. Alongside taking part in their ‘speed date a thinker’ event, I decided to discuss in my talk animal rights and the gaze. The 14 minute talk was recorded by the BBC and recently went out on Radio 3 as The Essay. If you are interested in listening online then you can hear the talk here. It was a great opportunity and great practice, though I have some work to do on the difficult skill of talking to a large live audience while simultaneously being recorded for broadcast. In other news I’ve just finalised the proofs for my article in French for Les temps modernes November-January. I’m also looking forward to the publication of the talk I gave in Cyprus at the ISSEI conference. Lastly since I’ve been failing to update this website, let me just record that I’m currently working as a Junior Research Fellow and Part-time Lecturer at the University of Essex. I submitted my PhD back in early October and Étienne Balibar will be coming for my PhD viva in January. I am teaching two units on philosophy and cinema – one on film as a recording medium focusing on Derrida, Barthes and psychoanalysis, one on film as a mode of thought focusing on Deleuze, Bergson and Badiou. Hopefully I will soon find time to write something on here more than snapshots of news.